Listen to this!!! S’Express – Lollypop (Chris and Cosey Remix)"
News!! 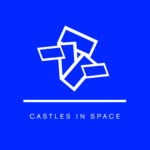 Castles In Space Release Three Great New Titles"
House of Suarez: Sugar Ball, Liverpool 2015"